This Music Book CD-ROM includes sheet music from the Hillsong London album, "Jesus Is." The CD-ROM includes everything you would expect from a songbook, including lead sheets, with vocal arrangements, full chord charts, RTF (rich text file) for importing into projection programs and overhead transparency style PDF (words only). All of these features are provided for each song from the 'Jesus Is' album, which includes songs such as Lord Of All, Follow The Son, Above All, and Jesus Is. 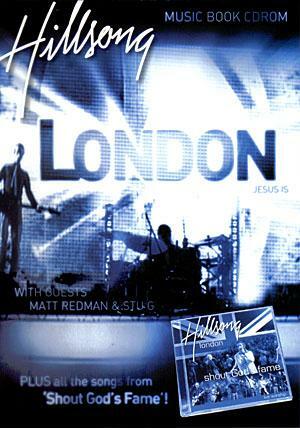 Jesus Is Songbook CD-ROM by Hillsong London was published by Kingsway in May 2006 and is our 19704th best seller. The ISBN for Jesus Is Songbook CD-ROM is HMAMBCD197. Be the first to review Jesus Is Songbook CD-ROM! Got a question? No problem! Just click here to ask us about Jesus Is Songbook CD-ROM.